As it was announced in December 2018, Sarajevo Open Centre (SOC) has joined the process of promoting human rights protection through the United Nations mechanism – the Universal Periodic Review. The process began with the establishment of an informal network of civil society organizations that work to protect and promote human rights in different areas. This informal coalition, called the BiH Civil Society Initiative for UPR, is comprised of the following civil society organizations: Sarajevo Open Centre, Association of BH Journalists, Civil Rights Defenders, Foundation CURE, Transparency International BiH, Country of Children in BiH, Why not, Centre for the Promotion of Civil Society, Association “Your Rights BiH”, TRIAL International, MyRight – Empowers people with disabilities, and Otaharin. 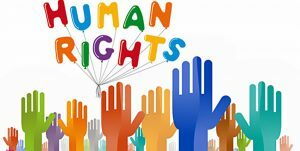 In January 2019, organizations began collecting data on the state of human rights in the area of ​​their activities. Each civil society organization has selected a number of recommendations sent by UN member states to Bosnia and Herzegovina in the previous UPR cycle from the field in which the organization has expertise, and submissions have been made with regard to what BiH has done so far. The areas covered by this report are human rights of children, minority rights, equality of women, rights of LGBTI persons, rights of victims of domestic violence, victims of war sexual violence and torture, rights of stateless persons and asylum seekers, rights of persons with disabilities, association and freedom of the media. By consolidating the submissions, a joint submission was made – a report in the shadow of the informal coalition of BiH Civil Society Initiative for UPR. This report will provide an insight into the state of human rights that is a priority for Bosnia and Herzegovina. On behalf of the informal coalition of civil society organizations, SOC submitted a report to the UN bodies on 28th of March, 2019. The report will soon be available to the public through the Sarajevo Open Centre website in B / C / S and in English. The key findings of the report will be formulated through the infographics that will serve in advocacy activities, to which SOC, together with partner organizations, will approach the governments of foreign countries to formulate new recommendations for BiH.